We all know it has to come to an end at some time. Something is going to stop this property boom, which has been particularly strong in Sydney and Melbourne. And while most of us thought that it would be the Reserve Bank of Australia (RBA) raising interest rates, things may in fact be slowed down by macro prudential controls on “high risk” lending. 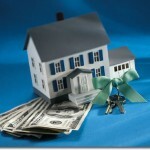 What are macro prudential controls? These are financial regulations aimed at minimising the risk to the financial system as a whole, while traditional micro-prudential regulation limits stress to individual institutions. In essence we are talking about measures that are not associated with monetary policy (raising interest rates) which are designed to slow lending, particularly to property investors. These could be policies such as capping Loan to Value ratios or capping Debt to Income Ratios or stress testing borrowers capacity to cope with rising interest rates. With property prices (particularly in Sydney and Melbourne) continuing to rise at a rapid rate, the RBA and the Australian Prudential Regulation Authority appear are considering introducing macro prudential policies to ease mounting pressure in Australia’s property sector. What’s happened is that over the past 20 years home prices in Australia have almost trebled while average household income has not kept up. The difference has been made up with debt. The ratio of household debt to household income is now 150 per cent – a historic high. According to the RBA’s Financial Stability Review, “the Bank is discussing with APRA, and other members of the Council of Financial Regulators, additional steps that might be taken to reinforce sound lending practices, particularly for lending to investors”. Rather than raise interest rates, which would have a sledgehammer effect on our whole economy, it seems that the RBA would like to specifically limit lending to “high-risk” property investment loans. Yes…if property prices keep going up, they’ll have the potential to fall later. I guess that’s the property cycle isn’t it? Have macro prudential measures been tried elsewhere? While you may not of heard of this before, there’s nothing new in these policy instruments, but their use mostly pre-dates the financial deregulation that occurred in the early 1980s. However the term became fashionable again in the wake of the GFC, as it became clear that systemic risks that had built up unchecked in the global financial system added greatly to the severity of the crisis. Macro prudential regulation is advocated by the International Monetary Fund, has been widely adopted around the world including Britain, New Zealand and a number of Asian countries where housing markets were perceived to pose risks to financial stability, and has become the flavour of the month in Australia. 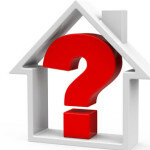 Across the ditch the Reserve Bank of New Zealand last year decided to limit the proportion of bank loans with a loan-to-valuation of more than 80 per cent, to 10 per cent of new lending in response to a housing boom in Auckland and Christchurch. 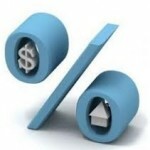 Never the less property prices have once again started surging causing the Bank to never the less raise interest rates. And recently the Bank of England announced that it would restrict the proportion of loans that are 4.5 times the borrower’s income to 15 per cent of new lending. Lenders are also required to assess a borrower’s capacity to absorb a 3 per cent interest rate hike in the first three years of the loan. Can’t the RBA just raise interest rates? Yes they could, but increasing interest rates is a blunt instrument that will not only affect our property markets but our economy as a whole, and that’s not what the RBA wants. Fact is our economy is just limping along – growing at a woeful 2% (annualised) in the second half of 2014 and predicted to grow at a below trend 3% in 2015. This means raising interest rates could stop our economy dead in its tracks as consumer confidence and therefore spending dips. On the other hand macro-prudential policies are seen as providing policymakers with a more targeted set of instruments that might complement or even substitute for changes in official interest rates. What does the government think about all this? His support seemingly came about after the International Monetary Fund (IMF) endorsed macro-prudential controls as “the first line of defense to address potential financial stability threats” at the G20 meeting recently held in Cairns. 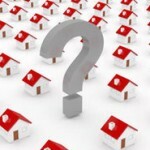 Will these measure slow our property markets? While they may do so for a short time, they probably won’t have the desired effect in the long term. While rising property prices tend to be blamed on ugly, greedy property investors there’s much more to it than that. The combination of the Chinese economic revolution, which fed an Australian commodities boom and fuelled our economy; an immigration program which added a net one million people over three years at its peak and a general shortage of housing at a time of historically low interest rates has produced a long-running property bull market driven by demand. Sure investors contributed to property price growth, but in truth property investors only account for around 38 per cent of the value of total loans. In other words even if the RBA targets “risky loans” from property investors, first home buyers, upgraders and downgraders will still remain out there pushing up property values. As will all the hoards of overseas investors who’ve been fuelling our “off the plan” and new apartment markets. 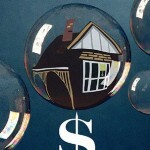 Are property investors really a threat to our financial system? You see… the RBA analysed the types of households and the ages of the Australia’s property investors in its biannual Financial Stability Review and found it was the highest-income households that owed most (60 per cent) of the total investor housing debt. Interestingly more than half are ahead on their mortgage repayments and seventy per cent of property investors are 40 or over, which is important because the unemployment rate for this age group is very low. In fact the RBA data shows that investors are typically cashed up, know what they doing and present little risk to the financial system or the economy generally. Now I’m old enough to remember a regulated banking industry and credit squeezes that restricted funds for investors and businesses. Paul Keating introduced deregulation and a “free market” for many reasons: efficiency and productivity and equity because regulation simply wasn’t working. While some would argue, “let the markets run their own course”, history shows that it is desirable to moderate our surging property markets in some way, otherwise we’re setting ourselves up for another property crash. But remember…it is not ugly greedy investors that are causing our housing crisis. It is mainly related to insufficient housing stock (other than in our CBD’s), a lack of infrastructure and low interest rates. The fact that investors are taking advantage of the low interest rate environment to purchase the type of properties that are in tight supply is not surprising. It’s shrewd business and the way capitalism and our housing markets have always worked. Clearly I’m not qualified to give one considering the experts, our authorities and economists who are much smarter than me have not been able to. However maybe it’s a mixture of something like allowing the right type of properties (ones that are sought by a wide demographic of people) to be built in the right locations, then enforce prudent banking practices and keep interest rates appropriately calibrated. We’re in for some interesting times ahead. The most targeted way to curb the “risky” property investments and the current “speculative” property boom is to remove negative gearing from the equation. Negative gearing (which is uniquely Australian) allows net income losses from property investments to be offset against other income. So in effect the Australian tax system is encouraging “speculative” investors to take on more debt by subsiding the net loss in rental income thereby artificially pushing up property prices. So negatively geared investors have little interest in rental income but rather are buying property purely for speculative and tax minimization reasons. i.e GREED! Removing the “artificial attraction” of negative gearing would force investors to evaluate property more like a business. i.e Cash flow would become much more important than tax deductions. 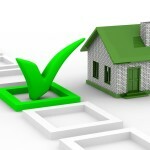 The result would be that property would be priced at more realistic and sustainable levels. PS History shows that the removal of negative gearing did NOT result in higher rents. This argument is just REA propaganda and has been proven to be wrong! So I say “nip tax-subsidized speculative property buying in the bud by removing negative gearing” and leave interest rates right where they are.